Why choose Saturn Inflatable Boat? 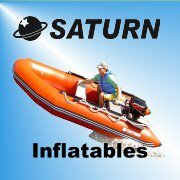 HomeBoatsToGo - Blog About Inflatable Boats, Inflatable Rafts, Inflatable Kayaks And More...Why choose Saturn Inflatable Boat? So why should you invest in a Saturn Inflatable Boat above all others??? Saturn inflatable boats are crafted with exceptional quality workmanship. Our clean assembly process leaves no glue sticking out anywhere. Cold-welded, virtually indestructible seems will last for many years. The rub strake protector along the boat keel gives the keel extra rigidity. Pressure-release safety valves release excessive air pressure in chambers. The 1,100 Denier PVC heavy-duty fabric is much stronger than other boats. Double layer of fabric at the bottom of the tubes provides double protection!